The governor of Plateau state, Simon Lalong has been declared the winner of Saturday’s governorship election in the state. The state’s Returning Officer who is also the vice chancellor of Benue state University of Agriculture, Makurdi, Richard Kimbir, made the announcement on Sunday at exactly 4:00 a.m, at the Independent Electoral Commission Headquarters (INEC) in Jos Plateau state. 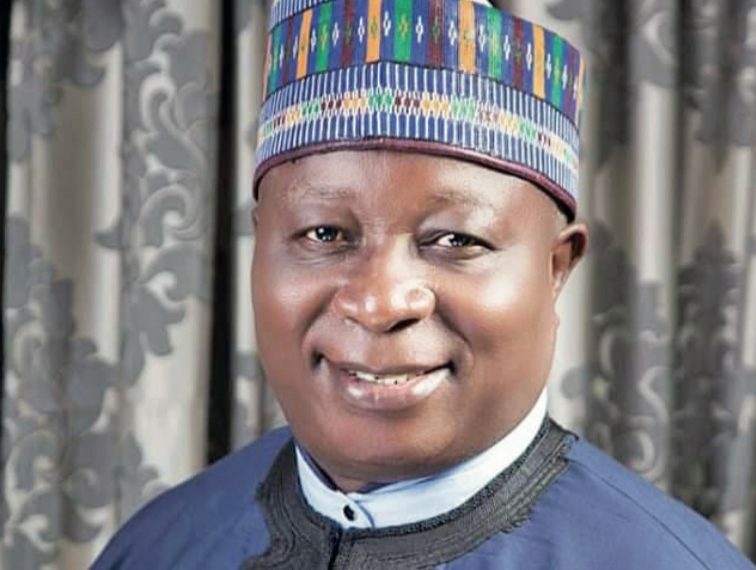 Rufus Bature, a chieftain of the All Progressives Congress (APC) and candidate for Plateau North Senatorial District, believes that only God can stop President Muhammadu Buhari from winning his election and not PDP’s presidential candidate, Atiku Abubakar. He said it is a taboo for his people in Northern Plateau to be refugees and enslaved in their own land. What are your fears about President Muhammadu Buhari’s re-election bid? Honestly, I do not have any fear. Only God can stop Buhari from winning the 2019 presidential election. You will remember this day that I said only God will stop Buhari and not Atiku Abubakar. Buhari will win his election without any obstruction. I am not a Prophet but from what I see, and what I hear, Buhari will win the election. I have the confidence that Buhari will get more votes in Plateau and in all parts of the country than he got in 2015, because different groups are mobilising for massive votes for him and the APC in 2019. I have not seen anybody that will thwart his re-election, not even Atiku Abubakar. APC is swimming in trouble waters following the outcome of its party primaries where some governors have insisted that the national chairman must resign, don’t you think that it is a sign of defeat for the party ahead of the 2019 general elections? You should expect that everybody will want to belong to a house that is very busy and if that is so, you will expect these intrigues, squabbles and blabbing in the APC. But at the end of the day, I am assuring you that APC will come out stronger and victorious in 2019. With this crisis, don’t you think your National Chairman, Adams Oshiomhole should resign? Why should he resign? Unless they have found him wanting with clear cases of mismanagement, clear cases of corruption or cases of ineptitude. If he is not found wanting in any of these why should he resign? One thing with him is that as a Labour man, he has been so combative to an extent that people are not comfortable with him but I believe that he should give a little ear to whoever has a complaint. Like thepresident said, he should not bar people from going to court, if you genuinely feel that you are aggrieved, you can seek for redress in the court of law because that is what our constitution says. The Constitution of APC cannot be above the Constitution of Nigeria; therefore, I agree with Mr. President that whoever feels aggrieved should seek redress in any court of law. Lalong came into power in 2015 on the basis of protest votes, do you still believe that he will win in 2019? I am very optimistic that APC will form the government in Plateau State, it will form the government at the national level and I am optimistic that I will be part of the government that will be formed at the national level. We are all human beings, nobody is 100 percent right, we have our weaknesses; we are looking at these weaknesses and trying to make amend. But I believe rational thinking people and people who are objective on the Plateau, considering the circumstances that we met when we came on board and looking at what this government has done, will treat us fairly, we need to be looked at from our performance and not from any sentimental issue or bias point of view. Most Plateau people and the Beroms who are the majority in the Northern zone are affected by killer herdsmen attacks and they appear not too comfortable with the APC government, how will your party win election when the people appear angry with APC? We started APC on the Plateau together with the current governor, I know how many people voted APC from my own constituency, despite that and to be magnanimous in victory, Governor Lalong appointed me as Secretary to the Government, if it was just because of the vote that my people gave, I wouldn’t have been the Secretary to the Government. One of the first thing we did together was to look at this issue of crisis, and the first person that the governor consulted was the Gbong Gwom Jos. The second Group of people was the Fulani, we started a meeting, which culminated into a committee that was set up; it sat for months and brought up a very germane recommendations and the government started implementing some of the recommendations, which brought peace until the recent carnage. What happened in the state is like a baby that is sucking breast and all of a sudden he was pull off the breast, you will certainly hear a striking cry, that is what happened. My other folks who were predominantly in PDP never believed that any government can emerge outside PDP, they were not ready for anything call hand-over, they were not ready to believe that it was not a PDP person that was going to emerge, therefore whatever that this government is doing that is good, they have never seen the good in it. If the government that I served were not magnanimous in victory, we would not have the appointment that we have. I have the record because I was the Secretary to the Government, all the political appointments that were made; even though they might not be quality but quantity wise, no single tribe on the Plateau has up to half of the appointments that the Berom people have, I stand to be corrected. The governor was magnanimous enough in the Northern zone to allow me to nominate people into positions of Special Adviser, Senior Special Assistants, Board members, commissioners and so on. Infact, in Berom land, 95 percent of the appointees were nominated by me. We have built roads that are spread all over the local government areas that did not even vote for him. The governor said we are all Plateau people and therefore, they should benefit. Sometimes I feel so sad when people say this government has not done anything for Berom people, it is very glaring that this government is an all inclusive one. Lalong’s government is not anti-Berom. At what point will you say this issue of land grabbing started in your home, Barkin-Ladi? It has been there since 2001, there are many communities that were sacked and the people never went back to their land. So it is not today, it did not start under this government; if you go to Riyom Local Government area, you will see the same thing. This thing started right from the onset and because it was not nip in the bud, it continued unabated. When you go to Gashish you will see what I am talking about, I wept the day I went there. It was not in 2015 that this land grabbing started, it has been there for a very long time. But do you believe that the Military are colluding with the Fulani herdsmen to attack your people just like Gen. TY Danjuma (Rtd) alleged in Taraba? I have heard people saying that but I don’t have any incontrovertible evidence to prove that the Military is colluding, I don’t have any evidence. People might have their own evidence but I as a person don’t have any evidence. What do you suggest the Federal Government under President Muhammadu Buhari should do to the people of the area before 2019? I appeal to him to do what he has said through the Vice President Yemi Osinbajo when he came to sympathise with the victims of the crisis and the president repeated it when he came to Jos recently. He said nobody who has been chased out of his community that will not go back unless he does not want; he is making every effort to make sure that people go back to their communities. One thing I want to emphasise, is that we must learn to respect, tolerate and understand one another, it is very important. When the lands were grabbed the other time, nobody made any effort to reclaim and take the people back to their communities. You mean the PDP government did not make effort to take displaced persons back to their homes in the state? Yes, of course. Nobody made any effort; today President Buhari is trying to take these people back to their communities even those who left since 2001 but some people are being very critical about it. It is unfortunate that some are saying is it only now that the government is concerned about the people; we are aware that things have happened, what did the leaders do during that time that the people were first displaced? I don’t want to start making comparison, all I want is that the people should be treated fairly, we should do justice, whether there was justice or no justice, we will be accountable for our own period. Whatever happened during the PDP period, is for them and will be judge by what they did, but as far as we are concern, we are doing what we believe is right, we are doing what we believe is just. Plateau North Senatorial Zone is predominantly PDP, how do you intend to emerge APC Senator from the zone? I want to contest that presumption that the Northern zone is predominantly PDP. If you look at the combination of members of the House of Assembly, about four of them are APC and four of them are PDP; for House of Representatives, out of the three of them, two are APC, while the senator is PDP and the governor is APC. APC is the home of Plateau North as far as I know. PDP was the government in power during the 2015 elections and the governor was from the Northern zone that was why some people thought that PDP was strong in the zone. But with what is on ground now, APC is in total control of the zone and the 2019 election result will show clearly that Northern zone is predominantly APC. You resigned your position as Secretary to Government of Plateau State, to run for the senate. What is the motivation? Youths of Plateau State, under the platform of the All Progressives Congress Youths Online Forum, have expressed sadness and disappointment with the elders of the state, saying they were disappointed with the elders for not being united to fight the common enemy of the state. The APC youths, while addressing a press conference, in Jos, led by their Chairman, Comrade Pius Tongmaan and Secretary, Makut Alfred Mashat, following the unfortunate killings of innocent citizens in Barkin Ladi Local Government Area of the state by suspected Fulani herdsmen, said the elders had failed for playing politics with the lives of human beings. They said, “Plateau State Elders have failed us. They are playing politics with the lives of our people instead of uniting themselves towards fighting the Plateau State enemy, but the reverse is the case. They are never united. They are now scattered on political lines. It is worrisome because we know who are our enemies are, but our elders have failed. “Plateau State elders have disappointed us. In fact, we don’t have elders again in this state. Where are they when our people are being killed, our farmlands taken away? APC Youths also calls for the immediate arrest of the chairman, North Central Zone of Miyetti Allah Cattle Breeders Association (MACBAN), Alhaji Danladi Ciroma, over the killings of over 200 citizens in Plateau State. The youths continued, “We vehemently condemn these cowardly, dastardly and calculated attacks on our people in Plateau and demand the immediate arrest and prosecution of the perpetrators of the act. “We call on the Federal Government led by our destabilised and patriotic president Muhammadu Buhari to, as a matter of public importance, mandate the security agencies to arrest and question the statements attributed to the North Central Chairman of the Miyetti Allah Cattle Breeders Association of Nigeria, who has given a lead about the perpetrators of the attack by referring to it as retaliatory, where he justified the killings on the basis of over 300 cows allegedly rustled by some natives of Barkin Ladi. “In as much as we don’t condole criminally by acts of cattle rustling, we also do not accept any individual or group that resort to taking laws into their hands by killing and maiming innocent women and children or the cowardly acts of blocking the federal highways and killing innocent travellers by setting their vehicles ablaze. “We the APC youths are pained by the killings of our brothers, sisters, mothers and children in Barkin Ladi. “We call for the establishment of a state-owned localised security outfits to complement the efforts of the existing security architecture that is overstretched. “The youths condemn those killing people and destroying their settlements with the intention of taking ownership of such places would not be allowed to do so. “We call for the introduction of a community justice system whereby defaulters will be treated by the settlers in conjunction with the state government, Vigilante groups, village heads, Ardos, e.t.c. The Presidency has described as ‘irresponsible politics’, the Peoples Democratic Party (PDP)’s declaration of seven days of mourning over what it called, sad and unfortunate killings in Plateau State, over the weekend. The Presidency also said in the 16 years of PDP rule, over 22,000 citizens were killed in ethnic and communal clashes including those killed by Boko Haram but the former ruling party never declared national mournings. Special Adviser to the President on Media and Publicity, Femi Adesina, in a statement, said the nation was in a period of distress and sorrow which calls for deep introspection on how cheap human lives had become and not a time to dance on the graves of the dead, playing cheap and infantile politics. The Presidential spokesman described PDP as a “comatose and prostrate party” which has also decided to fly its flag at half-mast nationwide, saying its flags had been forcefully lowered by Nigerians since 2015 when it was defeated at the polls. Adesina said PDP’s flag would remain lowered for a long time because Nigerians are politically discerning, and cannot be hoodwinked by cheap antics. The statement read, “The sad and unfortunate killings in Plateau State over the weekend have been turned to the opportunity to once again play irresponsible politics, particularly by the Peoples Democratic Party (PDP), which says it is declaring seven days of mourning. “The comatose and prostrate party is declaring seven days of mourning, during which flags in its offices would be flown at half-mast nationwide. “But unknown to the party, those flags had been forcefully lowered since its 2015 loss at the polls and may remain so for a long time to come, because Nigerians are politically discerning, and cannot be hoodwinked by cheap antics. – Between February and May 2000, about 5,000 people were killed during riots over Sharia law in different parts of the North. No national mourning. – Between November 28 and 29, 2008, Jos was in flames again, with 381 deaths. “Those who take pleasure in twisting statements from the Presidency may claim we are saying that many more people were killed under PDP than under President Muhammadu Buhari. “It would be unconscionable to do so. The intendment of this statement is to show that wanton killings had been with us for awhile; this government is working towards enduring solutions and should be given the opportunity to do so. Few days after over 100 people were allegedly killed by suspected Fulani herdsmen, leaders from the North Central states, on the platform of Middle Belt Forum (MBF), have called on the African Union (AU), the United States Government and the International Criminal Court (ICC) to halt what they described as “ethnic cleansing” in Nigeria. Addressing newsmen in Abuja, yesterday, President of the forum, Dr Pogu Bitrus, who spoke on behalf of others, said the indifference shown by the AU since the killings started was worrisome. Although he acknowledged the United States President, Donald Trump, spoke out against killings of Christians in Nigeria, the leaders called on governments to mount pressure on the Nigerian Government and President Muhammadu Buhari, to take steps. He said: “We call on the African Union to condemn and call to order the Nigerian government for failing in its responsibility to protect the peoples of the Middle Belt. “The African Union’s silence is no longer golden as Nigeria has been on the road to the genocide in Rwanda; with the African Union maintaining silence. “We call on the International Criminal Court to investigate the genocide in the Middle Belt and bring the perpetrators to justice. Worried that the killings may continue, the forum called on citizens to defend themselves since the government has failed to protect them. people of the Middle Belt to organise themselves in their communities to defend themselves and their property as the government has abdicated its responsibility to protect them. “Section 33 of the Nigerian Constitution guarantees every citizen the right to life and nobody should be deprived of that right. “The right to private self-defense is constitutionally recognised to protect that right to life. “To all state governments in the Middle Belt: Governments of all states in the Middle Belt should, as a matter of urgency, support communities in the Middle Belt to train vigilante groups on ways of repelling external aggressions of the sort communities in our homelands have been subjected to in the last two decades,” he said. The leaders didn’t leave out security agencies. They said security agencies could not have denied knowledge of the attacks while they lasted. Dr Bitrus added: “The most recent attacks in Plateau state, where several communities cutting across three local government areas left over 200 persons dead, was sustained for over five hours; without any response from the security forces. “It is inconceivable that an attack of such magnitude requiring the kind of logistics involved could have been planned without any inkling by the intelligence agencies. “It is absolutely impossible that, for five hours, the security agencies were ignorant of the attacks in this era where the majority of the members of these communities have access to mobile phones and have numbers of police divisions and relatives’ numbers. President Muhammadu Buhari on Tuesday faulted those who accused him of being silent on killings being carried out by suspected herdsmen in parts of the country. He said there was injustice in such aspersions. According to a statement by his Senior Special Assistant on Media and Publicity, Garba Shehu, the President spoke during an interactive session with stakeholders in Jos, Plateau State, over the recent attacks that left scores of people dead. Buhari said people were blaming him for not talking to the herdsmen probably because he looked like them. He appealed to Nigerians to avoid inflammatory utterances that could endanger peace or promote conflicts. The President said, “Whatever is being given to the media, we have to be very responsible about it. Buhari directed security chiefs in the country to remain vigilant and ensure the protection of lives and property. The President added, “I will continue to pressurise members of the law enforcement agencies directly under me by the constitution as the Commander-in-Chief. “About eight days ago, we had five hours security meeting of the service chiefs and the Inspector-General of Police. Buhari, who was accompanied to the meeting by Governor Simon Lalong of Plateau State and his counterparts from Kebbi and Niger, condoled with the affected families, the government and people of the state, and wished those injured a speedy recovery. Others in his entourage were the ministers of Defence, Mansur Dan-Ali; Interior, Abdulrahman Danbazzau; and Information and Culture, Lai Muhammed. Also with Buhari was the Chief of the Air Staff, Air Marshall Sadiq Abubakar and the Inspector-General of Police, Ibrahim Idris. The major stakeholders in attendance were senior government officials, National and State House of Assembly members, traditional rulers, the leadership of the Christian Association of Nigeria and the Ja’amatu Nasril Islam in Plateau State. The President’s visit came less than 24 hours after a similar visit by Vice-President Yemi Osinbajo (SAN) who met with the stakeholders. Earlier in his remarks, Lalong blamed parties in the conflict in the state for reneging on their agreement to maintain peace, leading to the recent upsurge in violence, after nearly three years of calm and normalcy in the state. “We are concerned as a state that the sophisticated weapons used in these attacks, from the evidence on the ground and the narrations of victims, are not those conventional to our environment for self-defence but reflective of a terrorist invasion. ‘‘It, therefore, demands a justified response like that which was undertaken to address the Boko Haram insurgency,” he said. The governor also requested that given the number of villages completely ravaged by the violence, the Federal Government should establish an Emergency Special Intervention Fund to help reconstruct the destroyed communities. Meanwhile, the killings attracted more condemnations on Tuesday with the Nigeria Labour Congress saying that the government must design a framework for peace to end the bloodshed. The Congress said it was disturbed by the range of targets, the duration of the attacks and the scope of casualties and destruction. The NLC President, Ayuba Wabba, said in a statement in Abuja that the statistics were numbing, describing the incident as senseless and barbaric. He added that it threatened to shatter once and for all the bonds of brotherhood and peaceful co-existence. According to him, the security agencies, though stretched, must be seen to do more to restore the confidence of the civil populace. “If the emerging allegations are true that the attacks went on unchecked for hours, then something needs to be done about the reaction time of our internal security operations in the state. “Beyond this, the Federal Government and Plateau State Government in consultation with the parties to this bloody conflict should design a framework for an enduring peace,” Wabba insisted. He called on the governments to quickly move to rebuild the devastated communities and restore shattered lives while admonishing the victims against reprisals, stressing that it could not bring the much-needed peace in the state. Speaking in the same vein, the Nigerian Baptist Convention, FCT chapter, and the Christian Association of Nigeria, North-Central geopolitical zone, condemned in strong terms, the killings. The Committee for the Defence of Human Rights said the killing was a sign that the Federal Government had failed. The CDHR in a statement by its National Publicity Secretary, Henry Ekine, decried the state of insecurity in the country. According to him, the right to life is guaranteed under Section 33 of Chapter IV of the Constitution of the Federal Republic of Nigeria, 1999, an amendment, as well as under the African Charter on Human and Peoples Rights (Article 4); the International Convention on Civil and Political Rights (6) and the Universal Declaration of Human Rights (Articles 3). The CDHR said, “The state has the primary responsibility to ensure the security and welfare of the people, as provided under section 14 (2) (b) of Chapter II of the Constitution of the Federal Republic of Nigeria, 1999, as an amendment. Also a former Vice-President, Alhaji Atiku Abubakar, and a former Minister of Special Duties, Alhaji Tanimu Turaki, condemned the killings. The two chieftains of the Peoples Democratic Party made the condemnation in separate interviews with journalists after their interaction with the Forum of PDP Former State House of Assemblies Presiding Officials in Abuja on Tuesday. Atiku, a PDP presidential aspirant, who described the killings as unfortunate, stressed the need to adopt measures including community dialogue to address the lingering crisis. He said, “I just listened to a former deputy speaker, a lady for that matter, and she made two points; hard and soft powers in resolving the crisis. I like that idea. On his part, Turaki, another PDP presidential aspirant condemned the killings saying every single life that was lost had the potential to do a lot for Nigeria. He attributed the killings to the failure of the APC-led Federal Government and failure among various security agencies. “If you recall, a few months ago the National Security Agency had appeared before the Senate and disclosed that the greatest problem that the Nigeria security agencies have today is that the agencies work at cross-purposes. There is no cooperation, there is no synergy. He commiserated with the people and government of Plateau over the loss of lives. Also, the House of Representatives said President Buhari must take immediate steps to halt the killings by herdsmen in the country. It noted that the country could not afford to continue to lose its citizens as if human lives no longer matter. The Leader of the House, Mr Femi Gbajabiamila, told The PUNCH in Abuja that to contain the killings, the President and the government should think harder about the appropriate measures to bringing a lasting solution. Gbajabiamila added, “The President and the government will continue to do all they can to arrest these killings and surely more needs to be done. “It is absolutely difficult to understand why human life should be so cheap. “Christians are being killed; Muslims are being killed. What is important is that they are human beings and the killings must stop. “This is a strange phenomenon in Nigeria. Perhaps, it requires the government to think outside the box and do something extraordinary. On its part, the Pentecostal Fellowship of Nigeria commiserated with the families of the bereaved and urged Nigerians to refrain from reprisals to enable the government to perform its constitutional responsibilities. The National President of the PFN, Rev. 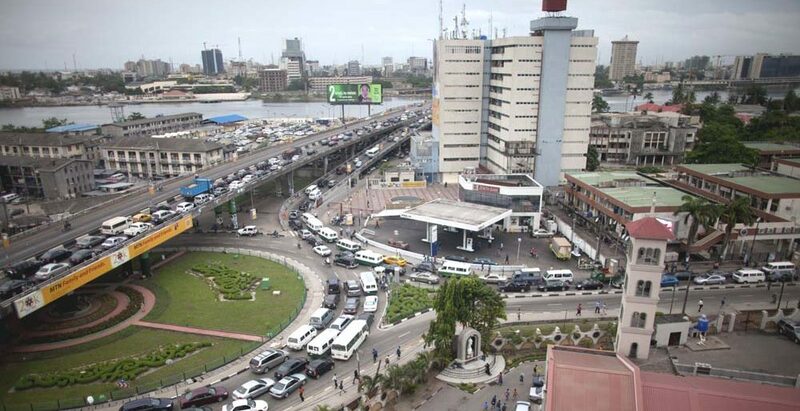 Felix Omobude, in a statement on Tuesday, lamented that the lives of Nigerians had been cheapened by mindless criminals who swooped on unsuspecting residents and killed them without restrictions. Omobude added, “Never in the history of Nigeria have the lives of Nigerians been so cheap. Today, people in any guise can kill with impunity and get away with it. “Hundreds of people are being slaughtered at regular intervals and the criminal elements seem not to be brought to justice. There is the need for our government and security forces to be proactive instead of reactionary. The President had after a closed-door meeting with government officials, security agencies and traditional leaders in Plateau State said he was committed to the protection of lives and property and would not run away from the responsibilities for which he was elected in 2015. The President appealed to the people to bury their differences and work together for the peace of the state. However, Idris has removed the Plateau State Commissioner of Police, Undie Adie. The removal of Adie followed the killing of more than 100 people by herdsmen in three local government areas of the state on Sunday. The spokesperson for the Plateau State Police Command, Matthias Tyopev, a Deputy Superintendent of Police, in a statement on Tuesday, stated that a Deputy Commissioner of Police, Bala Ciroma, had replaced Adie. He also said the IGP had directed Adie to report to the force headquarters in Abuja. The new commissioner, who is from Yobe State, was previously a deputy commissioner of police, criminal investigation and intelligence department, at the force headquarters in Abuja. Also on Tuesday, Osinbajo confirmed that some persons had been arrested in connection with the killings. According to a statement by his Senior Special Assistant on Media and Publicity, Mr. Laolu Akande, the Vice-President disclosed this during a meeting he had in the state on Monday with the leaders and representatives of communities related to the conflicts. Osinbajo did not, however, disclose the number of the suspects arrested. The Imo State Governor and Chairman, Progressives Governors’ Forum, Rochas Okorocha, has indicated that the APC governors will visit Plateau State on Friday. The governor disclosed this on Tuesday at the Sam Mbakwe International Cargo Airport on arrival from Abuja after the national convention of the party. According to him, while on the visit, the governors will assess the situation and interact with the governor of the state. Anger, tears and condemnations have continued to trail the weekend attack on Plateau State communities, in which death toll has reportedly risen to 150. In spite of the deployment of Air Force, police fighter jets and special force, residents of the affected villages including Xlands, Gindin Akwati, Nghar, Kura falls and Kakuruk all in Gashish district of Barkin Ladi Local Government Area, have continued to flee en masse to neighbouring communities and local councils in search of safety. Meanwhile, the Miyetti Allah Cattle Breeders’ Association of Nigeria (MACBAN) said it carried out the attack in retaliation for the loss of about 300 cows to suspected rustlers. A statement, yesterday, by Danladi Ciroma, chairman, North-central zone of the body accused the communities of hiding cattle rustlers among them as well as frustrating peace efforts of the state government. “These attacks are retaliatory. As much as I don’t support the killing of a human being, the truth must be told that those who carried out the attacks must be on a revenge mission. “The government of Governor Lalong has done a lot to restore peace, but the criminal elements hiding among their people are the ones frustrating these peace efforts,” he Ciroma said. Notwithstanding MACBAN’s mea culpa plea, President Muhammadu Buhari has slammed politicians who he claimed were promoting instability and chaos to gain the advantage in the coming elections. Buhari was, however, silent on whether the culprits will be brought to book as he had done in the past. He also did not give an order to security agencies to move into the troubled spots. However, Plateau State Governor, Simon Lalong, cautioned those politicising and dragging farmers/herdsmen killings in the state into a religious violence. In a statewide broadcast, he urged citizens to exercise restraint, observe the curfew currently in place, while traditional rulers, religious leaders, elders, political leaders, community leaders and their subjects should remain vigilant and cooperate with security agencies to end the violence. “It is with a deep sense of sorrow that I address you, following the pockets of violent attacks on some communities in the state. This has unfortunately led to the loss of lives and properties. “The resurgence of violence in the state is reprehensible, as much as condemnable. Yet, this is a stark reminder of the magnitude of peace and security challenges steering at us in the face. Senate President Bukola Saraki has charged President Buhari to order security chiefs to immediately produce quick response measures aimed at tackling the incessant killings. “I am very sad to hear the news of the incident in Plateau State. This is very depressing and giving the impression that the country is not safe. The problem of Boko Haram in the North-east is well known to everybody but this killing by an unknown band of assailants in Benue, Taraba, Plateau and Kaduna states is now giving another dimension to the crisis. Coming at the time we are getting ready for elections, we need to respond fast,” Saraki said. Also reacting, Deputy Senate President, Ike Ekweremadu warned that unless government restructured the nation’s security architecture, more lives would be lost. In a statement by his Special Adviser, Media, Uche Anichukwu, Ekweremadu said: “It is really unfortunate because our country is a nation where the leaders have refused to learn from the mistakes and missteps of the past. “For many years now, some of us have been consistent about the need to decentralise our security architecture; and so long as we are not doing that, we are going to get exactly the same result. “It pains me that innocent people, who voted us into power to protect their lives and property are losing their lives and their property because we have refused to take the correct steps. “The sad news is not only that many people have died, but also that more people will die unless we take the right steps, putting the right security architecture in place. There is no way you will have a federation like Nigeria as big as it is, with all the diversities and continue to operate a centralised policing and expect it to work. It will never work and it is a major problem. Ekweremadu reasoned that the government of Plateau State would be in the best position to protect its citizens if it had its own police outfit. Also, Senator Ahmed Makarfi flayed the attack and the huge death toll, saying it was unfortunate, unnecessary and condemnable. While he believed disagreements are normal in any human setting, he said the civilised way of resolving them was by communicating with one another through constant and continuous constructive engagement. The resort to violence has never been known to have led to the resolution of any dispute, he said in a statement by Mukhtar Zubairu Sirajo. “It is Senator Makarfi’s belief and conviction that since even after real war situations, peace and reconciliation terms are eventually discussed and agreed on a round table, violence shouldn’t be an option in the first place. But the National security Adviser, (NSA), Maj-Gen. Babagana Monguno (retd), said herders and farmers would continue to clash unless Nigerians respect each other’s cultural diversities, giving the multiplicity of cultures. He tasked religious leaders to propagate virtues capable of transforming the minds of their followers. “Our diversities remain our most prized assets from where we draw strength and attract global respect. Nigerians by nature are highly religious people who are committed religious values. “In consequences, we look up to our religious leaders, both for moral and spiritual guidance who are highly respected and people of great virtues to play in the spiritual rebirth of our beloved country,” he said at a conference organised by the National Orientation Agency (NOA) in partnership with the National Troupe of Nigeria (NTN) in Abuja, where he was represented by AIG Peace Ibekwe. That scores of people could be killed without any resistance by soldiers deployed to contain the security challenge, as far as the Christian Association of Nigeria (CAN) is concerned is unimaginable. Also, reacting, National Chairman of the Peoples Democratic Party (PDP), Prince Uche Secondus, accused the Buhari administration of lack of sensitivity to the plight of Nigerians. The PDP leader said it had been one calamity after the other since the ruling party assumed the reins of power in 2015. 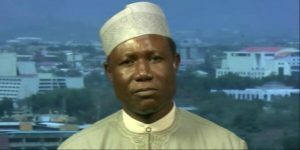 “Otherwise how does one explain the genocides in Plateau that was carried out for over five hours and there was no interruption from any security body in a distance less than 20 kilometers from Jos, the state capital, headquarters of an Army and Airforce divisions with Police, Directorate of State Services DSS, Civil Defence and others. “You can see what happened in Jos; over 100 people killed, where on earth or country can there be killing every day, and the government is doing nothing? All they have is propaganda. Don’t people in government have blood in their vein? It is a very painful experience. God will revenge on behalf of these people,” Secondus said. The PDP, in a statement by its National Publicity Secretary, Kola Ologbondiyan said it was shocked that at a time Nigerians expected the Presidency to take immediate action to restore order and safeguard lives of Nigerians, it had chosen the path of divisiveness. “It is unfortunate that rather than taking actions to get to the roots of killings and banditry in the land, President Muhammadu Buhari resorted to political colourations by engaging in his usual blame game of unnamed politicians. “It is equally disgusting that the Buhari Presidency relegated the main issue of the murder of our citizens and how to track down the perpetrators and bring them to book, thus confirming the fears of most Nigerians that this administration does not care about the lives of the people,” the PDP stated. Sen. Jonah David Jang is concerned, the killing is a careful plan to wipe out the people and inherit their land.